Linkedin, Xing, twitter, Facebook. You heard about them. You probably have a profile up, but nothing is changing in your career. This channel features tips on how to better use these incredible tools to get more business or improve your career. 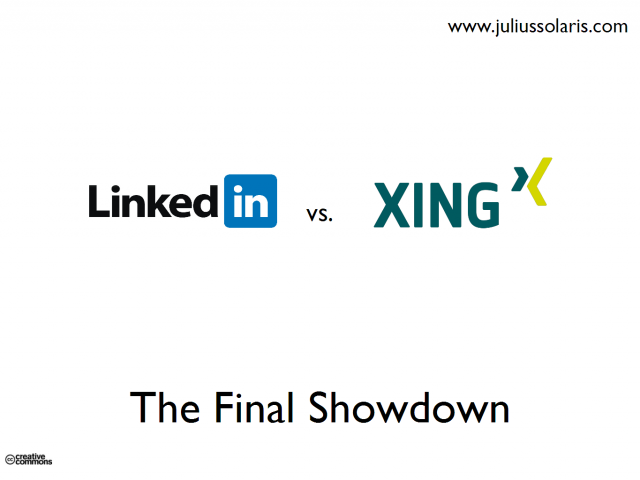 It's the question of the day: Linkedin or Xing? Quantity or Quality? Which works better and for what purpose? Julius Solaris will answer these and other dilemmas you may have in another unmissable free webinar. Sign up now! Linkedin has changed a lot lately. Are you making the most out of it? In this webcast Julius Solaris, a social networks expert, will guide you to a complete Linkedin profile makeover. You will be given access to great resources to make Linkedin work for you.